Reginald is a Marine Corps veteran with more than twenty-years of service. In addition to his duties as a Marine musician and senior advisor, he also had the opportunity to gain experience and expertise in the areas of operations and logistics, curriculum development, facilitation, project management, and recruiting. Over the span of his career, he trained, counseled, and mentored hundreds of Marines. After retiring from the Corps in 2007, his career achievements have grown to include organizational and system change management, IT project management, and process improvement. 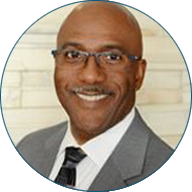 With experience in the public and private sectors, Reginald is comfortable articulating technical material to multiple stakeholders, especially senior leaders and executives. As a certified coach and member of the International Coach Federation (ICF), Reginald has also served as a Mentor Coach; training others in the profession of coaching. In private practice, he works primarily with established and emerging leaders, helping them explore various areas of their development, and ultimately the next level of their career. He is also a contributing author to several international online magazines and career blogs. Reginald’s education includes a B.S. in Computer Information Systems, and an MBA (concentration: project management). He’s currently pursuing a Ph.D. in Organizational and Industrial Psychology, specializing in Leadership Development and Coaching.